I'm so glad you found this page! If you are looking for a free preschool curriculum for your child, here it is. What is Read to Me & ABC? 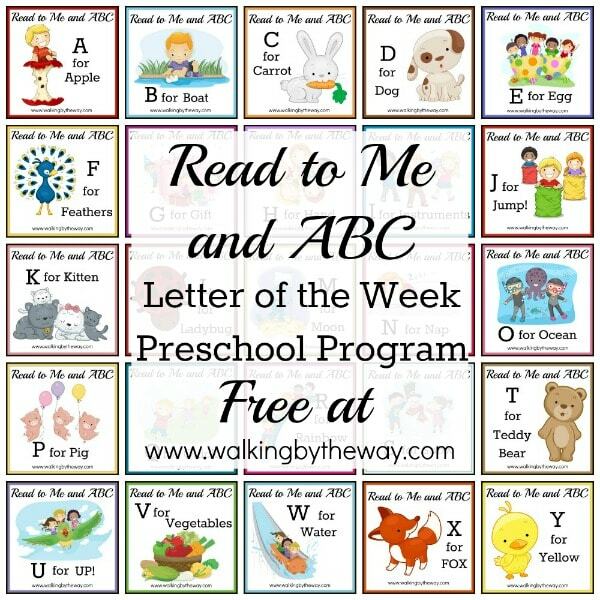 This is a literature-based letter of the week curriculum for preschoolers. Well, it's not really a curriculum (such stuffy words for such little people don't really work for me). It's more of a collection and organization of ideas. While I was writing Read to Me & ABC, my goals were simple. I wanted to expose my preschooler to great books and introduce him to alphabet sounds while making fun memories together. I also wanted him to know that he would receive special time with mom each day–school time wasn't just for big brother. How Does This Preschool Curriculum Work? Each week there is a book to go with a letter of the alphabet. We read the book each day (yes, five times! ), and worked on an alphabet notebook. 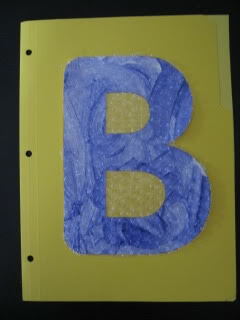 We also read a few go-along books and did a hands-on project or activity for each letter of the alphabet. Simon created one piece of letter art for each letter. We then pasted it to the front of a file folder and filled the inside of the file folder with the other learning activities he does that relate to the book we are reading as well as the letter of the week. 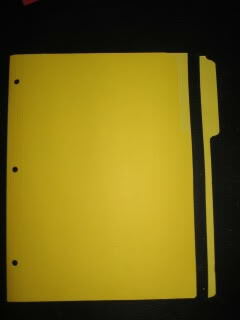 All the folders were stored in a 3-ring binder for the student to showcase and review. You will need 26 regular sized file folders, a three hole punch, and scissors to get started on your alphabet notebook. 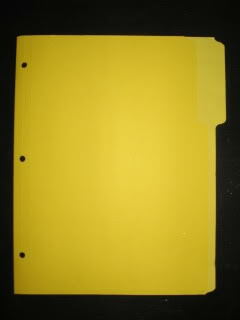 Three hole punch each file folder. Cut the "extra" part off. Each letter of the alphabet has "book basket" suggestions. These are not necessary but will enhance your time together. Don't stress about getting all the books on the list and feel free to substitute with other books you have available to you. Some of the books were selected because they relate to the main literature selection; other books are on the list because they emphasize the week's letter. Ask your student to find the letter in the titles of the books before you read them. Say the sounds together, too! This was my favorite part of this preschool curriculum! I included at least one fun activity for each week. Some of the literature units include activities, too; please don't try to do it all. Simply choose one memory making activity to do with your student each week. You will be blessed with these memories for many, many years! 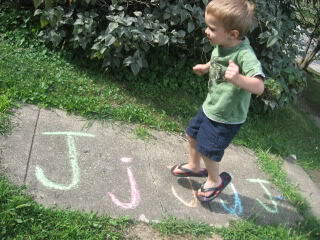 Simon jumping on the J's during our J week. I have blogged about all 26 weeks below. Simply click on a letter to read the plans. Even though I live at the school house and get first hand reports, I love being able to follow along here with what is going on! Reading it in print along with the pictures seems to make it much more cohesive! Thanks for keeping up on here! I love this idea! I was planning to do something similar with our almost 4 year old. I will definitely incorporate your thoughts…since we are starting next week with “A,” is there any chance you could spill the beans on your A idea :)? Love it Ami!!! You have SO many wonderful ideas. I am sort of doing the same type of thing with Rylee this year and we are having SO much fun with it (ours basically though is just lots of activities and books that go with each letter, we aren’t doing any other type of ‘theme’ except for that letter)!! 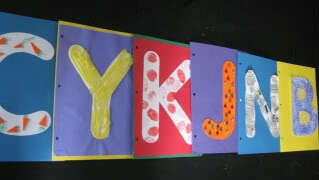 The alphabet folders look AWESOME! I may have to change ours up to do that. That is such a great idea! Can’t wait to read all about Simons ABC journey! This is wonderful, Ami! You have so many creative ideas! Thanks for sharing this. This is an EXCELLENT idea!! I just started before five in a row and was wondering how to incorporate the alphabet with each book. This is excellent! Do you know yet which books you will be reading each week ? Ami, you are so right, we were thinking so similarly! This looks great! We are doing a sport every week, too, as the whole family, and I really recommend it. It was so much fun to hike footballs to each other! Thanks for posting this it really helps! Wow I have enjoyed reading this. I am starting the Alpahabet Path with my little girls and will love looking at your ideas for more inspiration. i hopw to have my own first week( well it took more than one week due to illness) posted by friday. I am so happy to have found your site! I am just beginning our homeschool journey with my 4 year old. I have pieced together Sonlight Core P 4/5 and I also have Before Five In A Row. I absolutely LOVE the ideas you have here and will certainly be using them. Thank you, thank you, thank you! your suggestions are great! very fresh . I love this and it’s just what I have been wanting to do with Camden- only I couldn’t seem to pull it all together in my brain. We have sort of been doing this same thing, just not nearly as organized as you. Thank you so much for sharing this Ami! I look forward to joining in at the new year and using your ideas! A good friend of mine will be in charge of a preschool class next year. I’ve bookmarked this to share with her. My kids already know the alphabet. I’m sure my friend will be using some of your awesome ideas! We live in Holland so we speak dutch, i have to adjust the list so the letters match the right words but that shouldn’t be a problem. Thank you so much for sharing all the things on your blog and especially this idea. I love your ideas! I started doing something similar with my 3 1/2 year old & he begs to do school. The only one not on here is the letter U. Do you mind sharing what you did for that week? Thanks so much!! I just need to get U on there! 🙂 I will try to do that SOON! Great idea to attach a book to each letter. It’s always exciting for kids to see those kind of connections. Hi! I love this plan!! My baby girl will be 2 in Aug. is that too early to start? should I wait til next year to start this with her? Thanks! This is so incredible! I have been thinking about homeschooling and didn’t know where to start. I found the Homeschool Share site and have read about Five in a Row. I am so excited to start these lapbooks with my almost 3 year old. I believe God led me to your blog and I am so thankful for you sharing all of this information! I’m a new preschool teacher, and this is SO helpful! Ami, this is a great resource. Thank you for making something fun and EASY to execute! 🙂 So many programs belabor the prep work. I sincerely appreciate you making this available free for us to use. Do you plan to turn your adorable pictures from the top graphic into flashcards? I'd love to have those to use on a pocket chart, or to use on a jump ring for my preschooler/toddler to flip through and remember our units. Thank you so much for sharing this resource! I want to start working with my granddaughter as I watch her everyday rather than daycare. She is only 20 months but very smart. She is already learning her colors and how to count. I think that if I try exposing her to these simple fun activities each day she will catch on. And it can't hurt either way! Thanks again! This is such a blessing. Thank you!! I just want to thank you for this. I used this back in 2011-2012 with my daughter, and we loved it. I recently recommended it to a friend who is beginning her homeschooling journey, and I plan to use it again with my son in a year or so. It's a great program. So glad you found it, Cassie! Enjoy those sweet times with your preschooler, and make some great memories! This looks fantastic! And I REALLY appreciate that "I" is not for "ice cream" and "C" is not for "cake"! My son can't have those, and it has been hard to try to work around other alphabet activities/curricula that incorporate those items. THANK YOU!! This looks to be an enjoyable format. As an early childhood educator, there is such a push to have young children begin to read as early as possible. Laudable, if they are ready. Hopefully homeschool parents/teachers will remember to review a checklist of skills thst young children need as prerequisites for reading and writing. It's always fabulous to read to young children. You can check on-line or with your local librarian for a list of suggested titles. 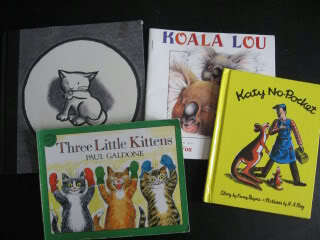 Browse the children's section for book tgat you think your child may enjoy or some you enjoyed as a child. Talk about the pictures. Have them point to pictures, ask questions about the characters, what they did or what happened in the story. Ask if they liked the story, why (depending upon their language and vocabulary). Have your child tell you the story. Remember there are many other important skills for preschoolers to learn. How to share with others. What is their speech and language like? At 2 can they request wants and express simple ideas by 2 1/2? Do they have a vocabulary of 200 words and can you understand them most of the time? Pay attention to fine and gross motoe skills. Are they walking heel to toe? Are they running and jumping? Can they step up on step, climb up on a chair or couch? Can they pick up small items like Cheerios or raisins and put them in their mouth? Can they stack blocks or put Duplo type blocks together and pull apart? Can they pick small toys or objects (key, spool, ball, spoon, etc.) out of a sand table? Can they hold a jumbo crayon or pencil and mark on paper? Can they assemble a simple shape puzzle with demonstration and minimum help? Three year olds should have a vocabulary of 400 words. They should be expressing ideas in simple sentences, answering basic questions, asking questions, carrying on conversations. Can they make lines or circles on paper and try to color a simple picture but not yet stay in the lines? Are they asking you questions about something from a story? Four year olds should be quite conversational and have readily intelligible speech. She may still not use all her speech sounds correctly yet. Most 4 year olds are interested in letters and what letter their name begins with. They may begin to find letters in books or around the home or in public. They may show more interest at making marks on paper, drawing, trying to print letters. Some may be ready to learn to print their first names. Upper case first letter, all the rest lower case. He may want to "read" the stories himself! If a parent wants to teach a child, the best thing to do is READ. Awesome!!! !my grand babies love it!